Peljesac, on the far South of the Adriatic coast, invites visitors with the smell of salt and taste of wine. The oldest European salt pan and autochthonous wine sorts are not the only thing to attract guests to Peljesac. The Ston walls will revive medieval period when turbulent times required that such monumental fortification complex should be built. Peljesac was once at the outskirts of Dubrovnik Republic, so it was necessary to build these walls in order to protect this part of the Adriatic from the inland invaders. 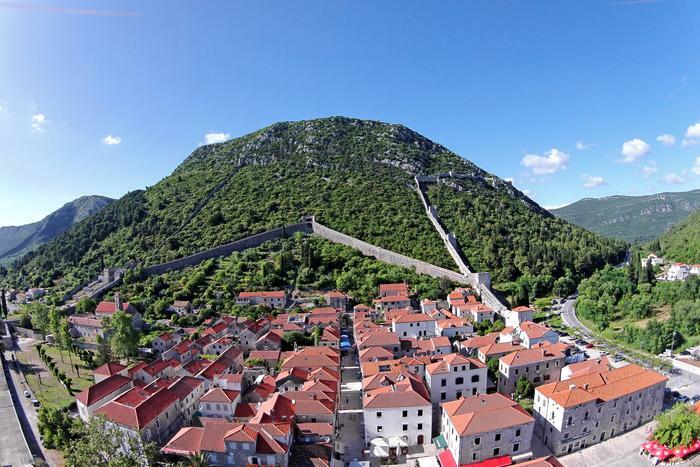 They were built in 14th century and were 7,5km long which was a quite an undertaking at the time, not just for Peljesac, but for European architecture as well. Today the remaining 5,5km of the walls, together with fortresses, towers and bulwarks does not serve its purpose as defence against strangers, but rather invite them to come and visit Peljesac as dear guests.